Congratulations to the Columbia County Board for recognizing last week that wind turbines complement farmland preservation. 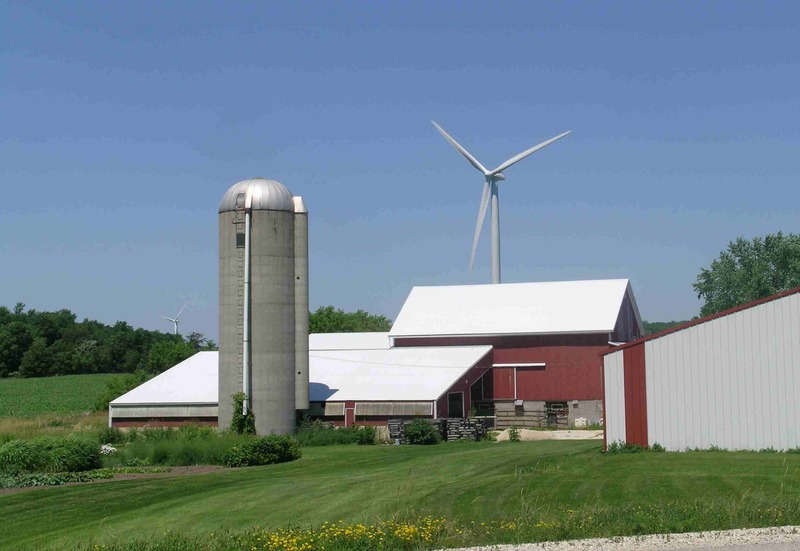 The board agreed Wednesday that farmers in the towns of Randolph and Scott can lease small amounts of land to We Energies for wind turbines without violating their state agreements to keep their land in agricultural production. The board's decision is wise because the turbines will give each farmer thousands of dollars in extra income to keep their farm operations going. And the amount of land taken out of production for turbine foundations and access roads will be miniscule compared to the total size of cropland that will remain. We Energies also has agreed to buy two homes from neighbors who were concerned about living within a quarter mile of some of the turbines. That means this exciting wind project in northeast Columbia County can now move forward with 90 turbines scattered across some 17,000 acres of productive farmland. We Energies started developing the site, called Glacier Hills Energy Park, last week. It's located about 50 miles northeast of Madison. The energy company hopes to fire up the wind park by the end of next year or early 2012. It will produce enough clean energy to power 45,000 homes. Wisconsin's wind industry is just taking off, and more clean energy is needed to reduce Wisconsin's reliance on dirty coal and gas that's imported from other states and foreign countries.